CONVOYNORT’s power and free systems have been designed in order to offer best solutions for customer handling installations. At the bottom of this CONVOYNORT’s P&F systems presentation you will check available products by clicking according load weight to be conveyed. You will be directed to the power and free conveyor of your choice. Motorized handling circuits including buffers, stop stations, switches, weighing stations, drop sections or hoisting systems, rotating devices, turntables etc. will be equipped with one of CONVOYNORT’s power and free systems. Among all conveyors, P&F systems offer the maximum of possibilities, cumulating technical advantages of the other models. Before all, a power and free system is a motorized conveyor inside which different move speeds and also manual moves may be included. 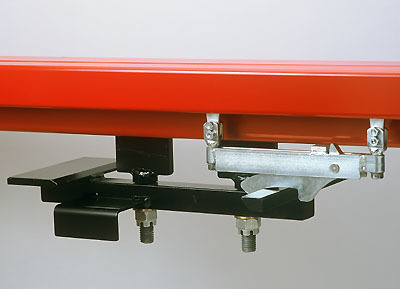 P&F conveyor may be seen as the opposite of a manual conveyor able to receive one or more motorized areas! 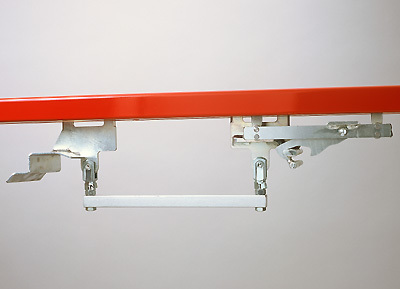 Work pieces hang on trolleys, load bars or carriers which are driven by a conveyor chain. The chain is regularly fitted with overriding dogs. 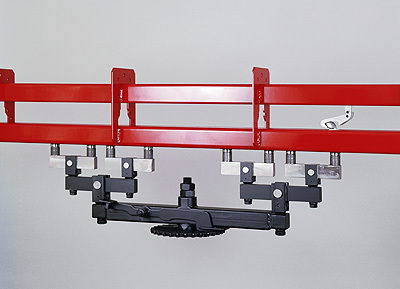 A power and free installation can receive one or several driving chains having different running speeds. Power and free system may also be located at floor level or in a pit. 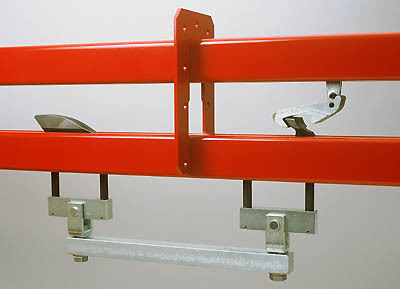 Work pieces are placed onto adapted supports and conveyed by the floor power and free conveyor. Flow control of the overhead or floor handling system is controlled by the PLC of the conveyor automation. 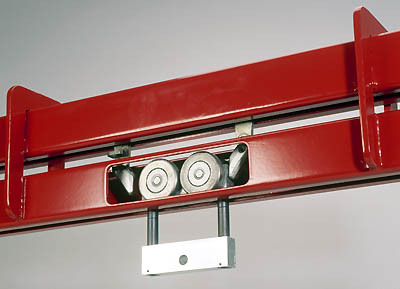 The automatism level for a power and free conveyor will depend of each handling circuit and possible connections with other electrical cabinets. Touchscreens, bar code readers etc. will complete the whole installation. 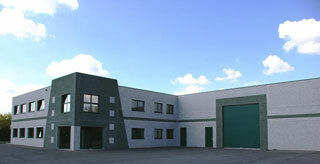 As a provider of turnkey installations, CONVOYNORT provide the whole control system. Drive and accumulation principle of CONVOYNORT power and free conveyors are simple, reliable and tested by numerous installations. 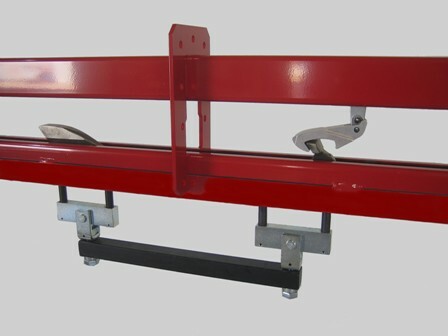 All CONVOYNORT’s P&F conveyors use same drive and accumulation principle. Simple and effective, this principle definitely performs the expected functions without maintenance. Drive and accumulation principle does not require any spring, coupling system, rod or other, which is an advantage in terms of maintenance. Looking for product that meet his need, free maintenance power and free conveyor is also essential part of customer requirement. The large range of CONVOYNORT P&F conveyors will offer appropriate answer following these guidelines.